Switches open a world of interaction to individuals who experience restricted movement, help to improve motor skills and help relay information about cause and effect. These devices can be very empowering, allowing the user to control many aspects of their environment at the flick of a switch. Sensory Room Switches come in a variety of shapes, sizes and types, some even look like soft toys. 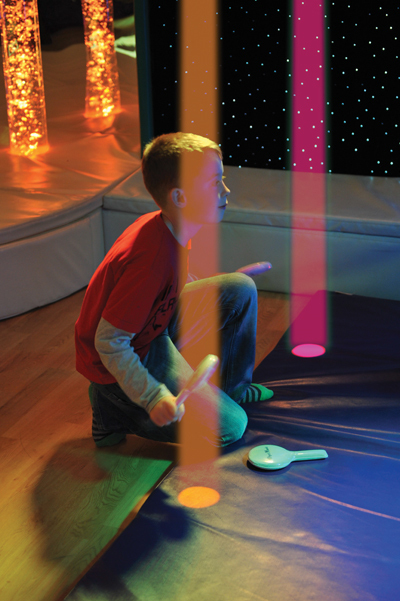 Whether you need a Sensory Room Switch that reacts to sound, movement or touch, you’ll find a number of sensory switching solutions below. 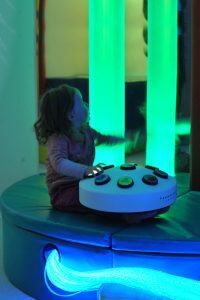 A popular way of controlling a multi-sensory room is with a switch that can synchronise the colour of all the light emitting products in a sensory room. In this way a preference for a particular colour can be identified and imparts a sense of control over the sensory environment to the user. 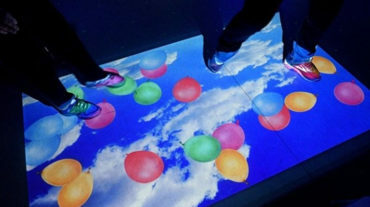 This effect is achieved by having universal signals that correspond to the light produced by the products in a room. The signal is emitted by a wireless switch and picked up by compatible products which then change to the colour selected by the user. Wireless compatibility makes it easy to share the switch around a group, encouraging turn taking. Removing cables also removes a potential trip hazard. 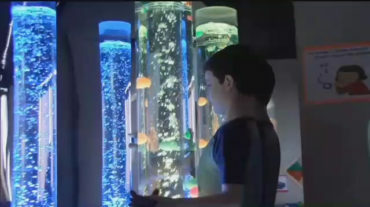 Sensory Magic is the ultimate multi-sensory experience. Create your own fully immersive themes and settings inline with the preferences of the person using it in minutes. 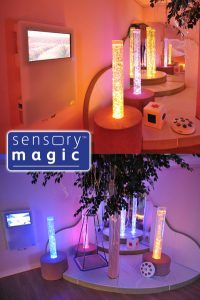 Sensory Magic can be used to educate, stimulate or relax those using it, making it a versatile solution for many sensory room settings. Whether you are pursuing a learning goal, seeking to engage and encourage movement in an otherwise sedate individual or hoping to calm down an excitable character and help them focus, Sensory Magic gives you the tools to make the most of your sensory environment. 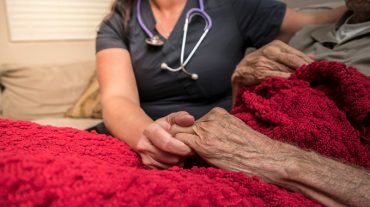 Those who are cautious or hard to engage can benefit from seeing a friendly, non threatening character. 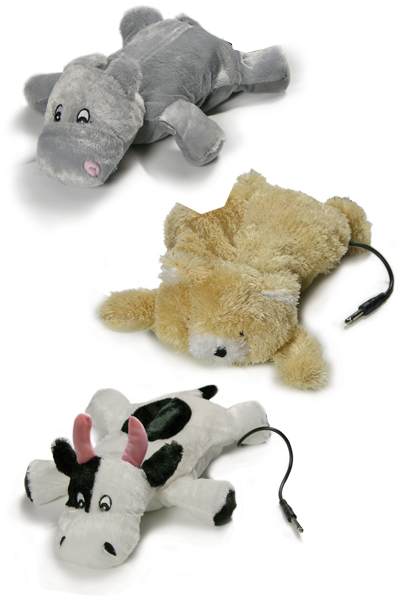 A soft cuddly animal switch not only provides tactile, input but as a switch, can be used to turn on and off compatible sensory room products like bubble tubes, switch adapted toys and massage tubes. Soft enough to be comfortably activated by various parts of the client’s body these switches can be hugged or leaned on without hurting the user. Music through movement! A whole new meaning to air-guitar and pretend drums! Interact with beams of coloured light by passing a hand, foot or reflective bat through them.